The Eastern Canadian Fisheries Exposition: A Great Success! Genrep attended the Eastern Canadian Fisheries Exposition in Yarmouth, Nova Scotia this past weekend showcasing our brands to the Canadian Commercial Fishing Professionals! Genrep’s marketing and sales team arrived in Yarmouth starting the weekend off with the annual dealers meeting held on Thursday, January 24th. The meeting was well received, and each of our dealers was quite interested in the Baudouin and new Doosan engine. During our meeting, we discussed several topics such as company updates, our dealer introduction and growth as well as a recap of our 2018 East coast trips. 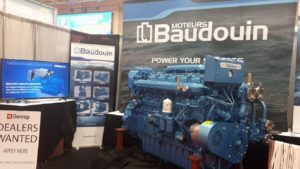 We provided information about our showcased brands at the show including Baudouin, and its history, warranty program and IMO III. The release of the new Doosan 4L126TI was announced as well. 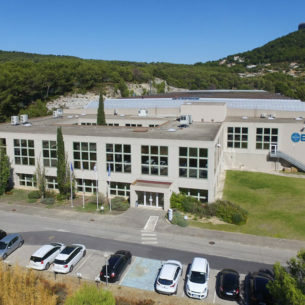 We also familiarized our dealers with our 2019 growth strategy and pricing. Genrep has a new mindset, fresh strategy, and a focus on growth and achieving goals! We provided time for an open discussion on dealer marketing information and best practices within the dealer network that followed with a dinner at Rudders, the local seafood restaurant in Yarmouth. The show! The Eastern Canadian Fisheries Exposition is one of Canada’s longest running, most successful commercial fishing shows. The event displayed a door-busting crowd that welcomed 4,813 commercial fishing professionals over the course of two days! They even had to make more parking across the street! Genrep had a 10 x 30ft booth in the centre aisle of the main tradeshow with 6-floor promotional stickers that helped direct visitors to our booth #528. 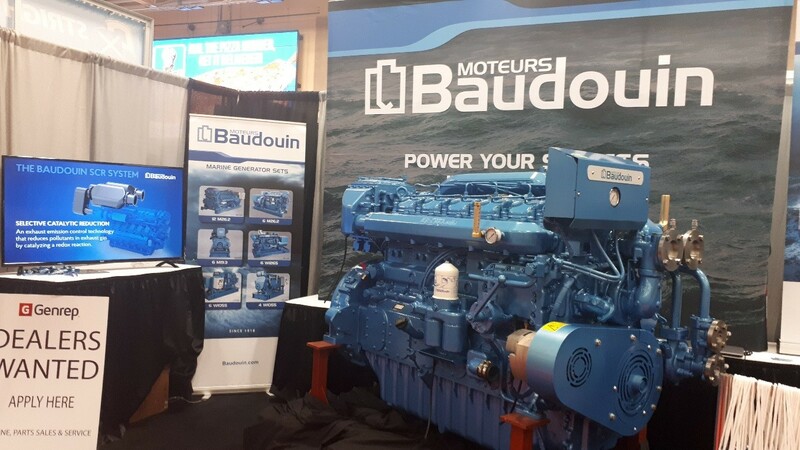 Baudouin was quite a popular attraction at the show, with both the 6M26.2 marine engine and tv display presenting Baudouin and its IMO II solution. 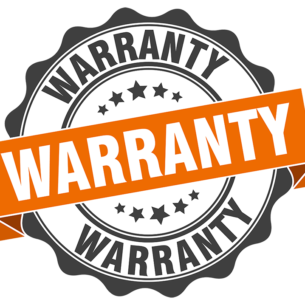 People are now interested in learning more about it and love all of the end user features that it has like: easy access to cylinders & access ports to reduce repair maintenance times, oil drip pan to prevent mess and reduce oil filter changing times, filters located at the front of the engine for ease of access. The fishermen are starting to see how beneficial it is to own a Baudouin! Our dealer, Nordic Marine with his helper Eddie Cleveland came each day and worked the booth, he even sold an engine during the show! Great job, Fraser! 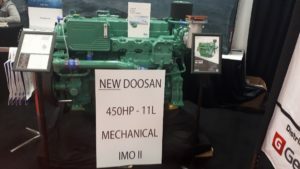 Genrep promoted Doosan’s new 4L126TI marine engine with an unveiling of the product at the show, which was well received by all attendees as well as our Genrep dealers. 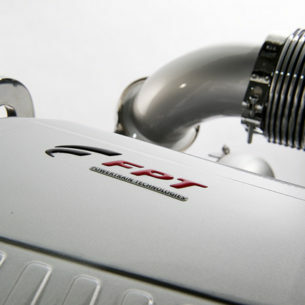 This engine is 450HP – 11L – Mechanical and is a very nice fit for the South Shore in Nova Scotia. The South Shore has the highest concentration of fishermen and highest lobster/scallop yields in all of Canada. Our other dealer A.W Halliday with his helper Chris also attended the show and helped push the new Doosan. We received many quality leads for new potential dealers to help expand our marine network in Atlantic Canada and there were tons of quality leads captured at the tradeshow that will be followed up on. We would like to thank everyone who attended and participated in the ECFX show this weekend as well as Baudouin, our dealer Nordic Marine, Doosan, and our dealer A.W Halliday for their support and joining Genrep in working the booth. Thank you, Master Promotions, for this successful show! We are excited to see Shawn Murphy at Fish Canada Workboat Canada in Moncton 2020!